So lovely we keep stroking the cover. Foxy quiz and fill-in fun. Too cute to keep secret! Nothing says autumn like an adorable fox. Red as the falling leaves and swift as the North wind. But as the rain drives you indoors and the nights get darker, autumn is also the perfect time to reflect and think. So get in the mood by writing your secrets in this lockable journal. The only problem – it’s so gorgeous we bet you won’t keep it secret at all! On the outside: a beautiful foxy friend who’ll fill you with inspiration. 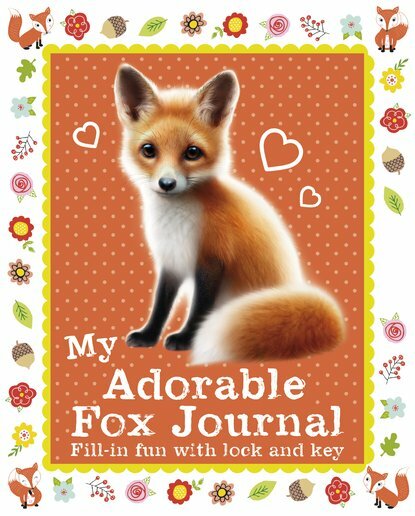 On the inside: quizzes, facts, doodles, activities, journal pages and loads of foxy fun!